Ungrapeful Winery is teaming up with Paint ‘N Sip for an exciting event perfect for this special day! We will be painting “COZY SNOWMAN,” some elements may be pre-sketched on each individual canvas. FRIDAY, December 1, 2017. Painting will begin at 6pm. We will take a break during our event, and wrap things up around 8pm. All art supplies and protective aprons will be supplied to you. Come prepared to laugh and have a great time!!! We suggest that you come in for free wine tasting about 30 minutes prior to the event. Wine will be available for purchase by the glass or by the bottle as well. Ungrapeful Winery is teaming up with Paint ‘N Sip for an exciting event perfect for this special day! We will be painting “WINTER PUMPKIN,” some elements may be pre-sketched on each individual canvas. FRIDAY, November 3, 2017. Painting will begin at 6pm. We will take a break during our event, and wrap things up around 8pm. All art supplies and protective aprons will be supplied to you. Come prepared to laugh and have a great time!!! We suggest that you come in for free wine tasting about 30 minutes prior to the event. Wine will be available for purchase by the glass or by the bottle as well. Ungrapeful Winery is teaming up with Paint ‘N Sip for an exciting event perfect for this special day! We will be painting “AMERICAN SKY,” some elements may be pre-sketched on each individual canvas. FRIDAY, June 30, 2017. Painting will begin at 6pm. We will take a break during our event, and wrap things up around 8pm. All art supplies and protective aprons will be supplied to you. Come prepared to laugh and have a great time!!! We suggest that you come in for free wine tasting about 30 minutes prior to the event. Wine will be available for purchase by the glass or by the bottle as well. Ungrapeful Winery is teaming up with Paint ‘N Sip for an exciting event perfect for this special day! 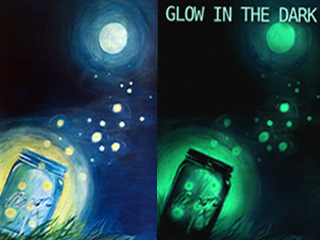 We will be painting “FIREFLIES,” some elements may be pre-sketched on each individual canvas. FRIDAY, June 2, 2017. Painting will begin at 6pm. We will take a break during our event, and wrap things up around 8pm. All art supplies and protective aprons will be supplied to you. Come prepared to laugh and have a great time!!! We suggest that you come in for free wine tasting about 30 minutes prior to the event. Wine will be available for purchase by the glass or by the bottle as well. Ungrapeful Winery is teaming up with Paint ‘N Sip for an exciting event! We will be painting “HEART TREE,” some elements may be pre-sketched on each individual canvas. FRIDAY, April 7, 2017. Painting will begin at 6pm. We will take a break during our event, and wrap things up around 8pm. All art supplies and protective aprons will be supplied to you. Come prepared to laugh and have a great time!!! We suggest that you come in for free wine tasting about 30 minutes prior to the event. Wine will be available for purchase by the glass or by the bottle as well. There are only 15 seats available. RESERVE YOUR SEAT NOW!!! St. Patrick’s Day is right around the corner. Ungrapeful Winery is teaming up with Paint ‘N Sip for an exciting event perfect for this special day! We will be painting “CLOVERS,” some elements may be pre-sketched on each individual canvas. FRIDAY, March 3, 2017. Painting will begin at 6pm. We will take a break during our event, and wrap things up around 8pm. All art supplies and protective aprons will be supplied to you. Come prepared to laugh and have a great time!!! We suggest that you come in for free wine tasting about 30 minutes prior to the event. Wine will be available for purchase by the glass or by the bottle as well. Valentine’s Day is just around the corner! Looking for something to do with your significant other, best friend, sister, brother, mother, fellow wine lover? Look no further. The ladies from Paint ‘N Sip brings us “Wine Lovers”. Some elements may be pre-sketched on each individuals canvas. This paint and sip event is on Friday, February 3rd, 2017, from 5:30pm – 8:00pm. This painting is designed to work as a 2 piece partner painting, or as a solo piece. Please be sure to select the “Partner Painting” ticket type if you intend to match your painting to your partner. The cost per person is $35 & includes 1 canvas/person. This will allow your instructors to be certain the number of prepared canvases are correct. Each painter will have only 1 canvas. Painting will begin at 6pm. We will take a break during our event, and wrap things up around 8pm. All Art Supplies and protective aprons will be supplied to you. We suggest that you come in for free wine tasting at 5:30pm. Wine will be available for purchase by the glass or by the bottle as well. Come prepared to laugh and have a great time!! There are only 12 seats available for this event.